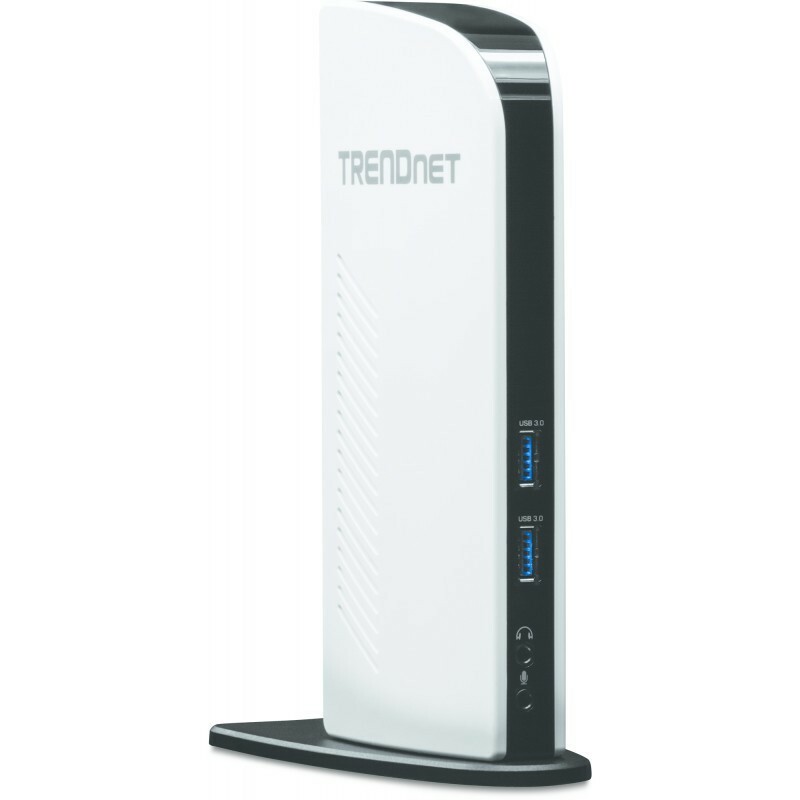 TRENDnet’s Universal USB 3.0 Docking Station, model TU3-DS2, unlocks laptop and ultrabook workstation efficiency. Manage workstation devices such as multiple HD monitors, USB 3.0 storage devices, keyboard and mouse, printers, scanners, and other USB peripherals with fast Windows® and Mac® (OS 10.9 only) computer docking over a high speed USB 3.0 connection. Build your ideal workstation by connecting all devices to the TU3-DS2. Quickly dock your computer by simply connecting with the included high speed USB 3.0 cable. Add two 1080p HD displays to your workstation for a total of up to 3 displays (includes your computer’s display). Connect an HDMI and DVI display to the TU3-DS2 and set your computer to extend mode. Full 5.1 audio channel support is provided to the connected HDMI display. Analog audio headphone ports on the front of the docking station override HDMI display audio. Connect USB 3.0 devices (ex: storage, flash drives, etc…) to the two 5 Gbps USB 3.0 ports. Network other USB devices to the four USB 2.0 ports (ex: keyboard, mouse, printer, scanner, etc…).